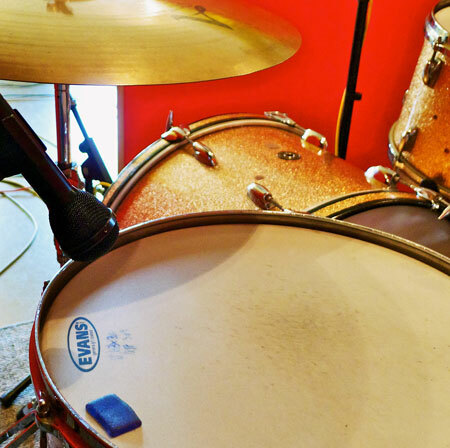 Need warm, punchy, natural acoustic rock drums? An all-acoustic set of drumkit samples with 24-bit .WAV single hits and multiple velocity layers per articulation for realistic versatility. A great all-around sample pack suitable for multiple styles of rock, pop, blues, and more. Live, Acoustic Drum Samples for Rock! 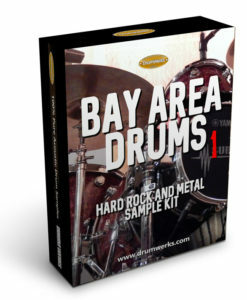 Recorded in one of Los Angeles’ best drum rooms, these drum samples features a beefy and punchy six-piece Mapex Maple drum kit. Thick, warm drum sounds with all the meat that maple shells provide, this Mapex Maple kit didn’t need a touch of processing to get the power and projection rock and pop artists need in their drum tracks. This is a warm and rich sounding library of acoustic drum samples. 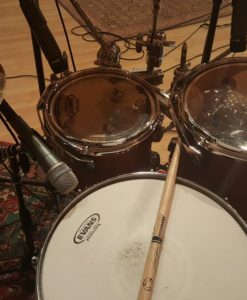 While an ideal drum kit for all styles of rock (from classic to contemporary), anyone writing any other musical genre needing live drums (like pop, fusion, country-rock, country) will find these .WAV format single hits just as useful and musically appropriate. 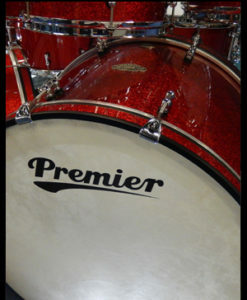 If you need drums that have serious weight and warmth, these are the drum sounds you’ll use and need. Excellent for many styles of music, but will find an immediate home in rock, alt, or classic hard rock styles. Looking for a kick with attack and solid low-end? 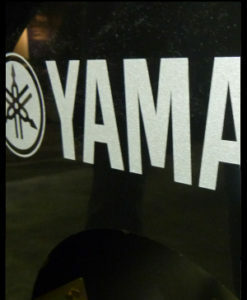 Or, a solid crack of an acoustic snare? 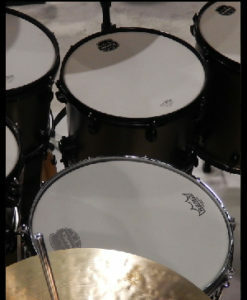 How about a full complement of acoustic toms and cymbals all around? 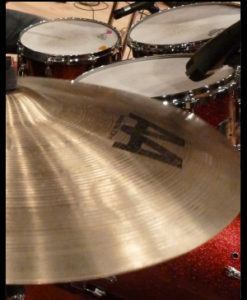 The Mapex Maple drum kit will deliver all of these and then some. The first audio demo is untouched samples – these are the samples with no processing whatsoever. The second demo was sent in by a Drum Werks user and obviously has had some EQ and possibly compression added. This drum kit will sound great out of the box or respond well to any further treatment and sculpting you see fit for your music. 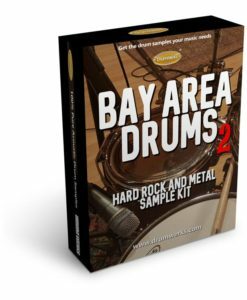 This is a complete set of samples with drums – a six-piece kit (22″x18″ kick, 10″x8″, 12″x13″ rack toms, 14″x16″ and 16″x16″ floor toms and maple snare) and several Zildjian cymbals (crashes, rides, EFX China, and hihats). A complete, ready-to-go collection that will sit perfectly in any mix begging for big, natural acoustic rock drums. 303 drum samples | 364 MB total Samples | 24/44 WAV format. Please note: These drum and cymbal samples have been released on the following Beta Monkey libraries of drum loops: Odd Time Meltdown II, Drum Werks XV, Drum Werks XVI and Drum Werks XVII. So, if you own any or all of these rock and fusion loop packs, you already have the samples!